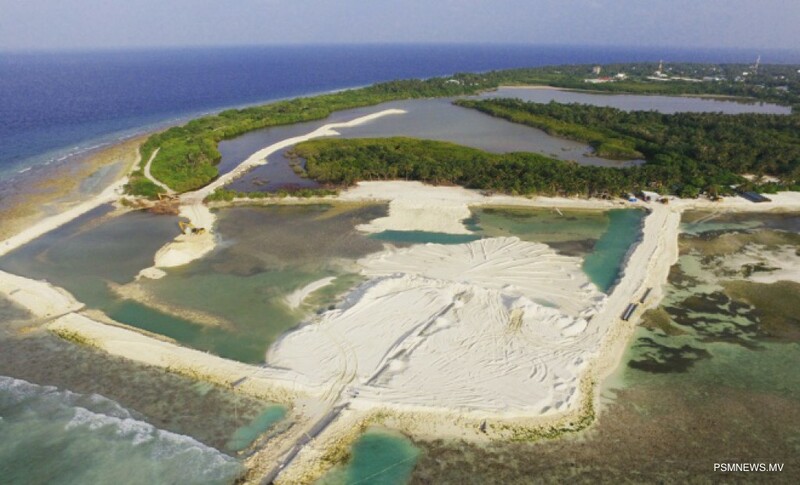 Regional Airports Limited has revealed the development of an airport in Kulhudhuffushi will be concluded within the upcoming 3 months. Regional Airports said the efforts to complete the remaining development projects of the airport will commence next week. Speaking to the media regarding the progress of the project, Deputy Manager of Regional Airports Limited Mohamed Nizar said Coraline Maldives has been contract to complete the passenger terminal and the building for the fire fighting services, adding the project will begin next week. He further said the two buildings will be completed within two months, highlighting the airport will be brought to operation within three months. Currently, Maldives Transport and Contracting Company (MTCC) is fencing to mark the airport territory. Nizar stated fencing the area is taking time as the area is surrounded by land plots owned by residents of the island. Moreover, Regional Airports revealed efforts are underway to attain the necessary equipment to begin operations. The authority further expressed aircraft landing will be monitored by the air traffic tower in Hanimaadhoo in Haa Dhaalu atoll. The Kulhudhuffushi Airport was officially inaugurated last year. However, as the necessary structures of the airport were not complete, commercial operations have been delayed. The runway developed at the airport is 1,200-metres-long and 30-metres-wide. The airport was built reclaiming 15 hectares of land.